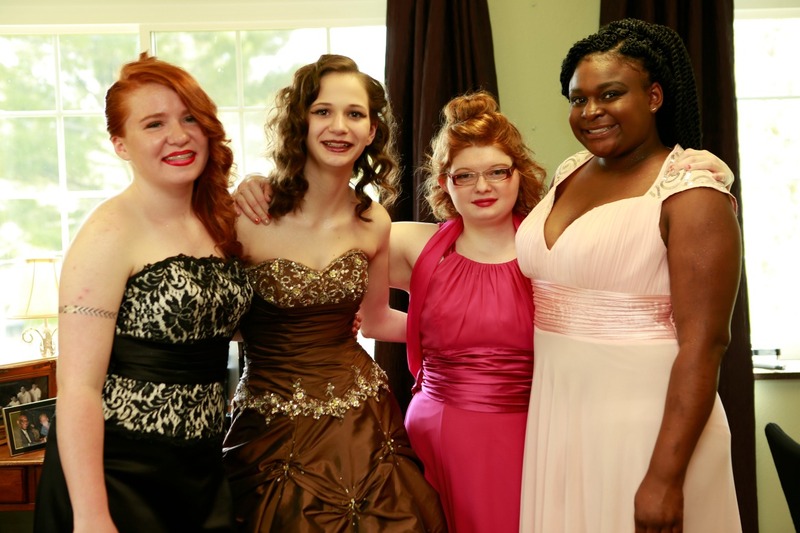 On April 20, 14 girls attended a special prom event at Eastway’s Ranch of Opportunity, a tranquil, 22-acre residential treatment center for girls ages 13-18 who have suffered severe trauma in childhood. The Ranch of Opportunity provides a peaceful, spacious and healthy environment for children to live, learn and grow during a six- to eight-month residential treatment program. The mission is to create new chances, new choices and new hope for traumatized children and their families by breaking the vicious cycle of child abuse and by addressing the self-destructive behaviors brought on by experiencing severe trauma in childhood. Located in Washington Court House, the Ranch serves up to 30 girls from ages 13-18. The organization’s focus is trauma-informed care. According to their website, all programs are licensed by the Ohio Department of Mental Health and Addiction Services and are accredited by CARF. 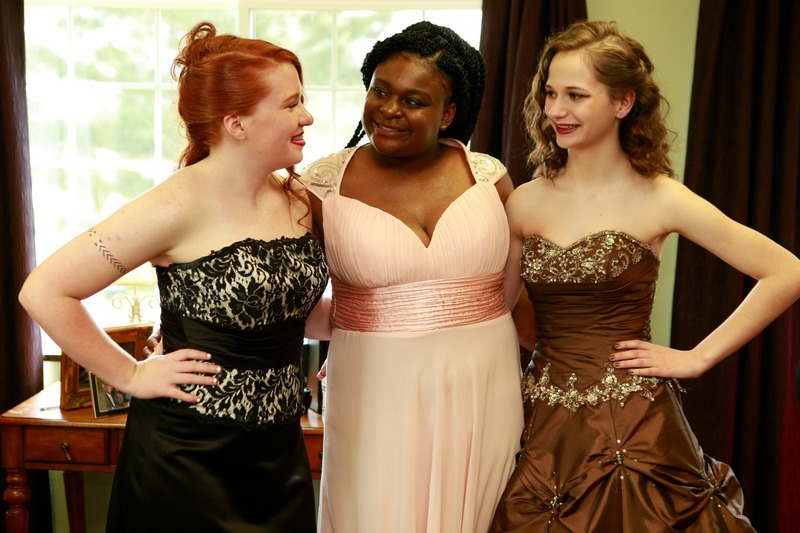 For prom night, the girls were treated to a day of beauty, new dresses and shoes and a limo ride to Dakota’s Steakhouse, followed by dancing to a DJ back at the Ranch. The girls started primping at 9 a.m. They got their hair and makeup done by volunteers and staff, including six people from Dayton and Columbus. Dresses and shoes were donated from a variety of individuals for the girls to wear and to keep. All of the makeup was donated as well, with many different brands and styles, including foundation, blush and 20 sets of fake eyelashes. A variety of butterfly, feather and bird temporary tattoos were also a huge hit with the girls. A nail technician volunteered her time at the Ranch and provided manicures for the girls before prom. She was able to do whatever they wanted besides fake nails, including nail art, which the girls loved. The main colors selected were pink and purple, with a few girls wanting a French manicure. For most of the girls, this was their first prom and first time riding in a limo. They went out for a steak dinner at Dakota’s in Hillsboro, escorted in a stretch Hummer. This was the third prom Belinda Lorenzo, a nurse at the Ranch, had experienced. Morgan, a 13-year-old, said that “getting all prettied up” was fun. Wearing the gown made her “feel like a princess,” Morgan said. She also got her hair styled in a top bun with curls on the side and bangs. Morgan also had a butterfly temporary tattoo applied to her shoulder in honor of her mother. Spending close to six months at the Ranch has helped Morgan change and grow, she said. “I was angry when I got here,” Morgan said. “My caseworker was straightforward about it. I wanted to get out the door. But when I got on the unit, I tried to make friends. Another Ranch teenager, 17-year-old Ashanti, wore a soft pink dress with ruching at the bust line, silver sequined cap sleeves and silver heels. She had her hair done by a Ranch therapist, who spent an hour and a half doing a crochet. Ashanti has been at the Ranch since January and has never been to a prom before. 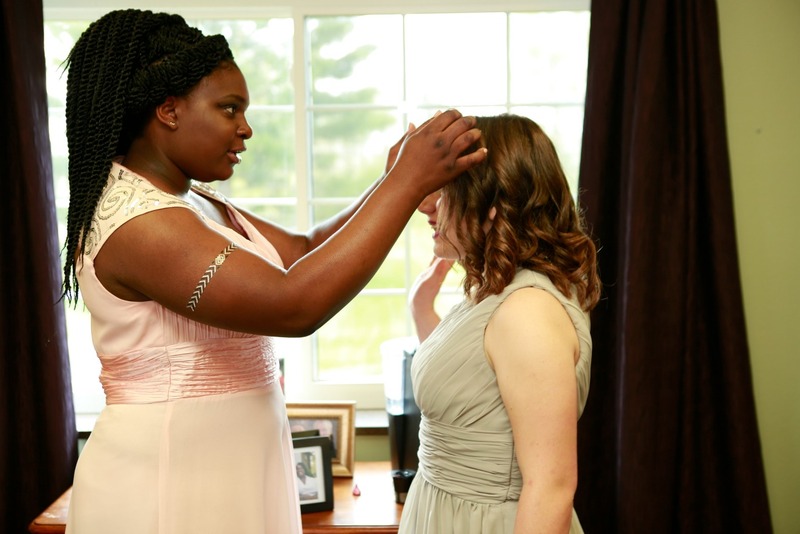 “When I first got here, they told me about prom in April, and I thought, ‘well, this is going to be my chance to dress up,” Ashanti said. “I’m going to be a flower, and I’m going to bloom. “This place just brings my spirit up,” Ashanti said. “They give us all a chance to be ourselves and to be who we really are and not to hide out. Marissa said she had never been to a restaurant before. For more information on The Ranch, visit http://ranch.eastway.org. I would love to help with this in some way next year! Rachelle Trefz, owner Merle Norman Cosmetics Studio & Salon 937-840-0701! This comment has been hidden due to low approval.